The First of a New Series! We've said it a thousand times...How can God do immeasurably more than all we ask or imagine unless we have the nerve to ask and imagine? One of the big reasons many Christian believers find it difficult to maintain a consistent life of prayer is because they fail to experience many answers to prayer that spurs them on. And the reason they experience few answers is often because they ask God timidly, when the Bible directs us to come boldly and without doubts. Beginning with Just Ask: Volume One we are rolling out a series of books to help people "ask" and "imagine." The secret to the potential value of these books is the focus on God's great work of salvation, which is greater than most Christians imagine. Most Christian believers have a limited view of God's saving work--limited by only one paradigm of (or angle for looking at) salvation. They see salvation as Jesus dying on the cross to save them from their sins so they can go to heaven. And that, of course, is true. But it's not the whole story. Not even close. As the book says, "Jesus' death on the cross was, to be sure, the means of salvation but not the entire meaning of salvation." 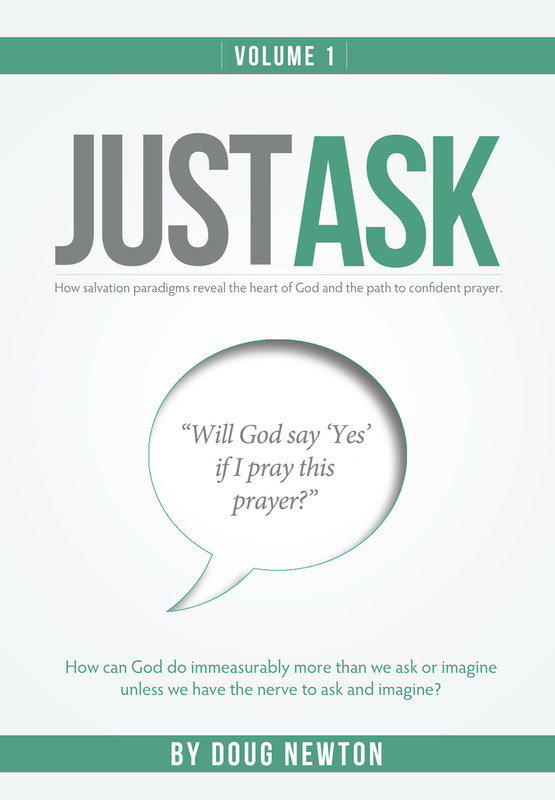 Just Ask: Volume One introduces readers to four more ways of looking at salvation that enlarge our view of salvation, which reveals the greatness of God's heart of love and purposes for us. When we see the greatness of salvation we are more confident in forming prayers that God will love to answer. In contrast, as the book says, "If our view of salvation is too small, our asking will be too timid." A major component of this new series is the extensive application section at the end of each chapter. There the reader will find assistance in processing the new paradigm through several pages of reflection questions and sample prayers that fit the paradigm. So, if you want to have a better grasp of God's saving work, if you want to discover how salvation is about God making you His partner, or giving you His constant presence, or making you His close friend, or merging His life with yours... then this colorful 140-page book is for you!